Home / Blog / Busan Buk-gu District – Shut down the Gupo Dog Meat Market in the “School Cleanup Zone”! [Update: May 3, 2016] Busan Bukbu Office of Education’s response lacks clarity and transparency. The Busan Gupo Dog Meat Market is within the boundaries of the “School Environment, Hygiene, Cleanup Zone” specified in the School Health Act as evidenced in this Busan News article: Dispute over the Gupo Livestock Market’s violation of the School Health Act. (http://koreandogs.org/dispute-over-the-gupo-livestock-markets-violation-of-the-school-health-act/) However, the Busan Buk-gu District office refuses to shut it down, claiming that the School Health Act does not apply to the Gupo Dog Meat Market. In the years 2014 through 2015, in response to the Busan Bukgu District’s disregard for the law, we launched a campaign of letter- writing directed towards the Korean Minister of Education and Minister of Health & Welfare. We requested statements on their official position regarding the actions of the Busan Bukgu District Office with regard to the Gupo Dog Meat Market. However, we did not receive any responses from the Ministry of Health & Welfare and Ministry of Education. It has now been 3 years and there are new ministers in office, so we would like to re-launch our campaign. 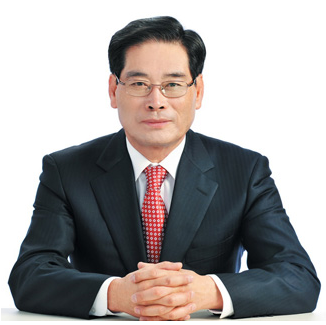 We hope with the new leadership in place in Korea, we will have a chance to get the attention of their government. Please sign and share our petition, and also send a petition letter (use your own words or our suggested message below). We must not give up on these dogs. 11/13/14 What do you think about the Busan Buk-gu District Office’s response that the Gupo Dog Meat Market is not illegal? 12/10/14 Call for Action: Write to the South Korean Minister of Health & Welfare! 12/22/14 Call for Action: Write to the South Korean Minister of Education! 3/12/15 Why did the Busan Bukbu Office of Education change their position regarding the Gupo Dog Meat Market? 덕천초교 상대정화구역 범위내의 위치한 부산 구포 개고기 시장을 폐쇄하십시오. Videos: Busan Gupo Dog Meat Market. Ulrike Brunner. Let’s come together and fight consumption of dogs! I am not offering a polite nor respectful letter about what your country does that is supposed to be civilized. The animals you kill were not born to allow you to practice how cruel you can be. The animals were born to provide live and comfort to those that want them. If want is not present, eating should not be present. there are many Western countries and people will to take these pets at no cost to you. May you pay dearly for what you have done. Well said Virginia. In these type of cases politeness directed at the authorities will have no effect.